The crankshaft is the part of an engine which translates reciprocating linear piston motion into rotation. Crankshafts can be forged from a steel bar or cast in ductile iron. 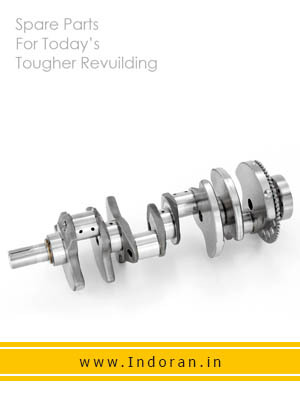 Today forged crankshafts are favoured due to their lighter weight, more compact dimensions and better inherent dampening. Forged crankshafts can be made up of, vanadium microalloyed steels. Other materials used are carbon steels, cast iron. Further carburization or nitridization can be used to harden the crankshaft surface.